The author presents a book and CD to help with the practice of meditation. Meditation: Achieving Inner Peace and Tranquility in Your Life includes the techniques Brian uses on his patients, many of whom have conquered insomnia, phobias, anxieties, weight issues, and disease. 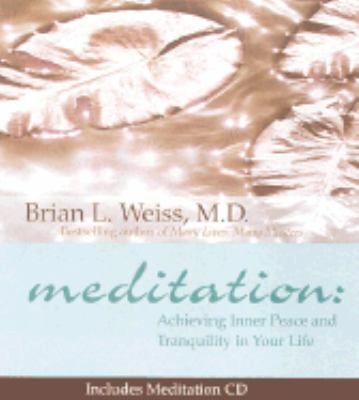 Meditation can also lower blood pressure, strengthen the immunological system, and reduce stress.Weiss, Brian L. is the author of 'Meditation Achieving Inner Peace and Tranquility in Your Life' with ISBN 9781561709304 and ISBN 1561709301.